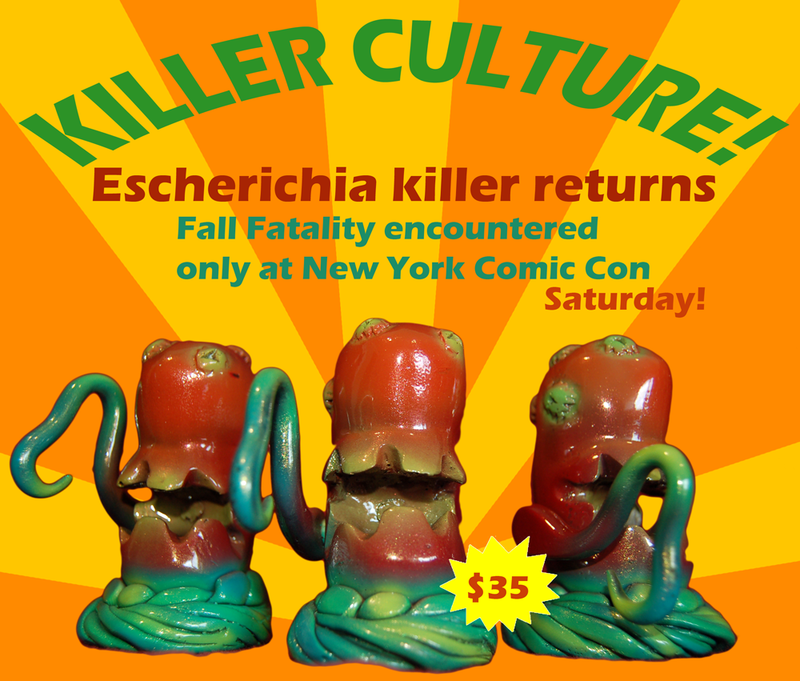 It’s super last minute, but I managed to squeak a little painting in, and will have the first set of version 2 Escherichia killers with me at NYCC on Saturday! 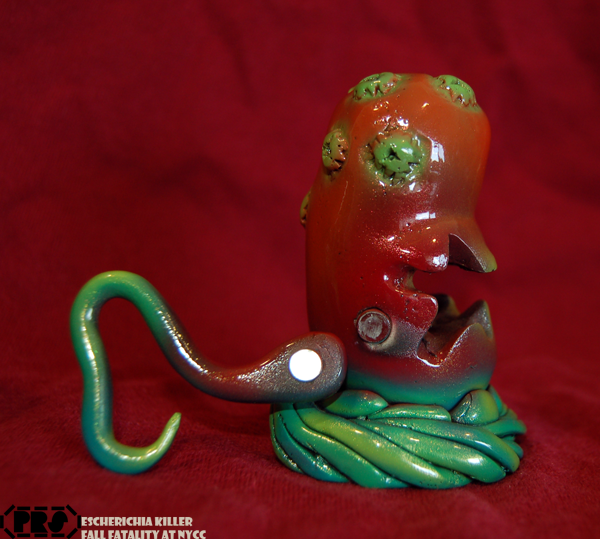 Along with a much cleaner and more consistent mold, E.killer v2 introduces a new feature to the Killer Culture line. Killer Culture is now magnetic! Using rare earth magnets allows for much more durable and consistent articulation, as well as some interesting possibilities down the line. 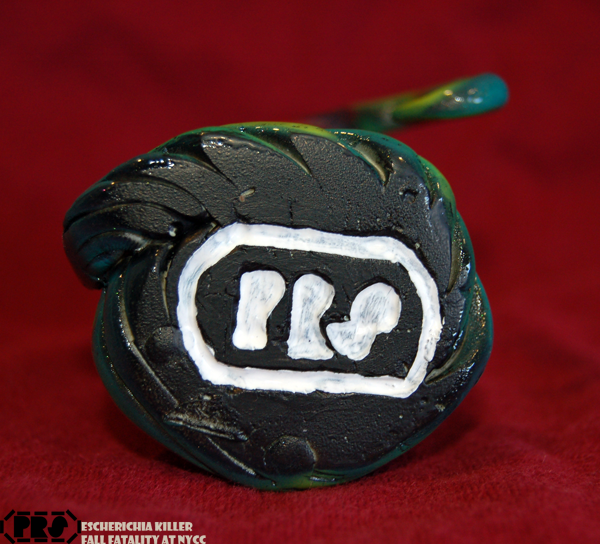 Reviews of the first E.killer also pointed out that the base was something of a weak spot in the original tooling. I agreed, and made a major revision to the base part, and the figures now have a nice, bold, and simple logo, which I’m really happy with. Figures will be $35, and I will be carrying them around with me on Saturday. I’ll be around the Onell booth many times during the day, as that’s where some of the coolest artists will be! I got a taste of what Onell is bringing to the show last night, and it is not to be missed.